Amphenol Rig-Lok Connectors: 3-Ci in Calgary, Alberta, and Houston, Texas. How are Amphenol Rig-Lok Connectors different? Amphenol Industrial Global Operations has introduced a single-pin, high amperage connector series that features Amphenol’s patented RADSOK technology. It is a cylindrical, metal & composite, reverse bayonet, harsh environment, power connector. Rig-Lok has a higher amperage rating and lower T-rise and insertion/removal forces as compared to any rugged connector on the market. Who uses Rig-Lok Connectors and for what? This new connector series is used by oilfield equipment manufacturers, power generation OEMs, power distribution panel suppliers, and traction motor OEMs. Unlike similar products with threaded connections, the new Rig-Lok is ideal for use in VFD drive buildings, land drilling, traction motors, and top drive power distribution because of its secure mating mechanism. What are the features and benefits of Rig-Lok? Rig-Lok features rugged corrosion-resistant plating with a hard coat anodized finish that is able to withstand an amazing 300 days of continuous salt spray. 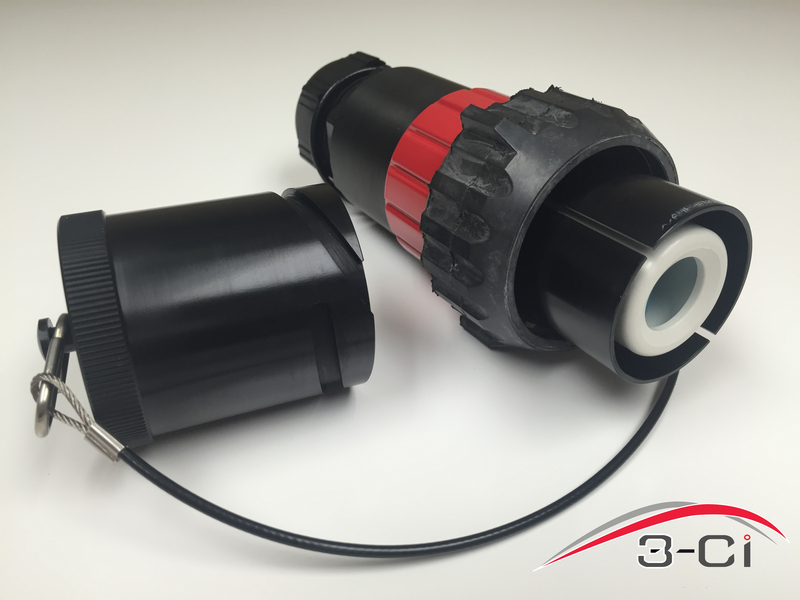 The ruggedized, over-molded coupling nut supplied with each of these Amphenol connectors gives users more grip when operating in harsh environments, like oilfields where temperatures go down to - 40ºC. A machined aluminum cover comes standard with the RoHS - compliant connector series, providing more protection for insert and contact assembly. If you have any questions at all for us, or would like 3-Ci to set you up with everything you need for Amphenol Rig-Lok Connectors in Calgary, Alberta or Houston, Texas or anywhere around the globe... you can either call us at 1.403.250.2271 or fill in your contact information and message in the form to the left and we will be sure to get back to you right away!